Experience and enjoy all the new Classic fragrances of 2017, in 5 ml spray samplers. This set is an olfactory tour de force that exemplifies what Demeter stands for, with each and every new Classic scent launched in 2017. 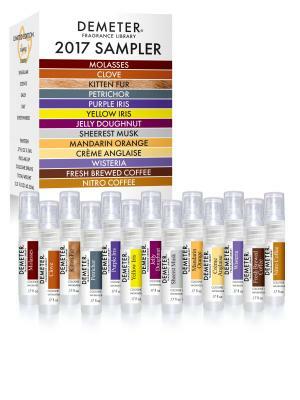 A perfect gift to introduce that special friend to the world of Demeter Fragrance Library.